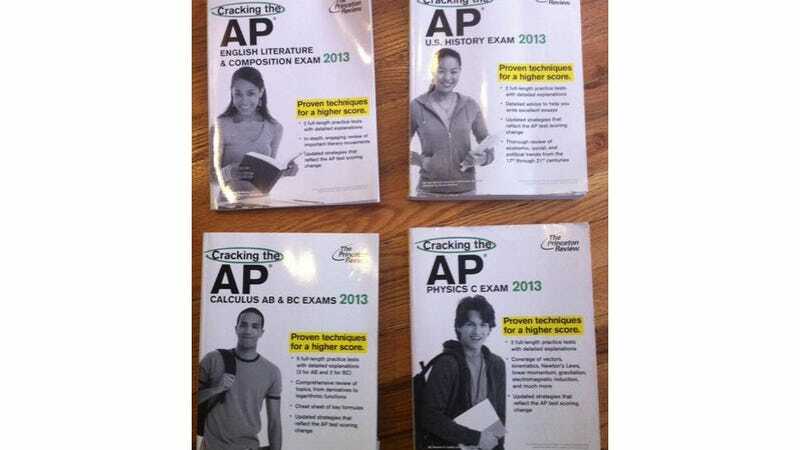 Could these AP exam prep books from the Princeton Review be any more obvious? English and history are for ladies, and math and science are for boys. Since many text books now overcompensate with science covers that feature ladies (please see: every stock photo of a girl looking into a microscope ever — honestly, it could be/maybe already is a meme), it's a little jarring to see something so... obvious? Brazen? 1950s? Ladies, better read up on your Jane Austen, because we know you won't be using string theory to solve anything anytime soon (unless it has to do with sewing!). Maybe boys really do take a bath to get more math. That must be it. Or maybe not.